Another big source of crypto mining malware is untrusted applications from untrusted sources. Mostly untrusted adware comes with the bundle of cryptocurrency mining bots, so we shouldn’t install those applications in our computer if we want our computer to be safe from mining malware. For smartphones also, untrusted apps are the number one source for mining malware. Fake apps and untrusted apps with fake promises are found on the internet and these applications are designed to trap the users to install the mining malware on their computer. We must verify the legitimacy and sources of all the applications that we are installing on our computer. So, staying away from untrusted applications will help a lot to get rid of cryptojacking malware. Antivirus and antimalware software will block the crypto mining software before they execute. This software will prevent the landing of crypto mining malware on the computer. We might not be able to maintain our internet safety ourselves and there is always a risk of getting malware injected on our computer unknowingly. If our computer is already infected with mining malware then we can use the antimalware software to scan and remove it from our computer. 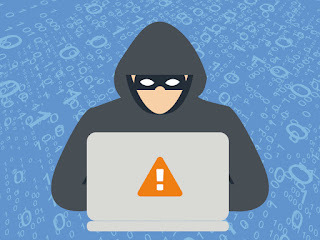 Therefore, the use of antivirus and antimalware software will help us to block those websites and programs if we executed it accidentally and to remove the malware that is already on the computer. A firewall can be installed and configured to block all the website that hosts the cryptocurrency mining codes. Also, we can block the websites that provide the API for mining cryptocurrencies. This is very effective to block the crypto malware mining malware. It prevents the bad websites from being loaded on the browser of the user which will prevent the cryptojacking malware from entering in the system. If we are aware of safe internet browsing then there is less chance that we will fall for mining malware victim. Educating people on identifying fake applications and fake websites that host the malicious code will help to reduce the harm of crypto malware. Providing internet security trainings and awareness programs will not help to get rid of crypto mining malware but it also helps people identify other online threats and social engineering. Therefore, educating people should be considered as one of the security measures by organizations.